Personal loans are a godsend when you really need one. With personal loans you can pay your debts, you can use them in the case of an emergency, finance your vacation, go shopping or finance something that would require you to save for several months. It is very flexible, and it can be controlled easily when it comes down to the payment. However, there are many personal loans you can choose from, and you can get some advantages if you pick the right one for your situation. We will present six types of personal loans that you may come across. If you are planning to buy a large asset, for example, a car, you may apply for a secured personal loan. With this type of loan, you will get a low-interest rate and probably other advantages. However, this loan is secured for a good reason; it is because of the value of your loan. If you decide to default on your repayments, the financial institution can use the asset (the car that you bought, for example) to pay off your debt. They will repossess your car, sell it and collect the money. So in a sense, the low-interest rate and the large sums are compensated with this method of securing the repayment. So it is only logical to use these types of personal loans as long as you have control over your financial situation a.k.a. making the monthly repayments on time. With the low interest-rate, the chances of defaulting on this type of loans are minimum, so do yourself a favour and keep it that way. They come with a higher interest rate than a secured loan, but they don’t require any asset for secure repayment. You can use this loan to consolidate your debt, to get some extra cash for the month, invest in your holiday or renovate your home. It is relatively easy to manage but risky if you forget to repay it. These loans are popular among people who want an easy application process. The process can be done online and if you have the necessary documents (which are not quite numerous) you can get a response in a minute or so. Of course, with all these advantages, there are also some major downfalls, depending on how you use this loan. These types of personal loans also come with high fees. You can get an establishment fee paired with other costs to compensate for the lack of security. The unsecured personal loans also come with costly penalties if you are late with your payments. If you default on this loan, the lender can even take legal action against you. He/she can bring you to court even for a small loan, so be careful. A personal loan with a fixed interest rate is an excellent way to have money in your account in case of an emergency. There is a limit on how much you can borrow, and the rate can be high, depending on many factors, but you will only pay interest on the money you use. However, you can get the best of both worlds if you have the patience and the knowledge. For a fixed-rate personal loan, all you have to do is check for the best option you can find on the market. You can get a personal loan that suits your needs and get a fixed rated that is decent. Don’t forget to check details like the loan term and other fees because there is always a catch when something is too good to be true. Unlike the fixed rate loan, variable interest rates fluctuate, meaning that they can have periods where they are low or high. Variable rates are usually lower than the fixed interest rates on some loans, but if the variable rates increase, so will your repayments. 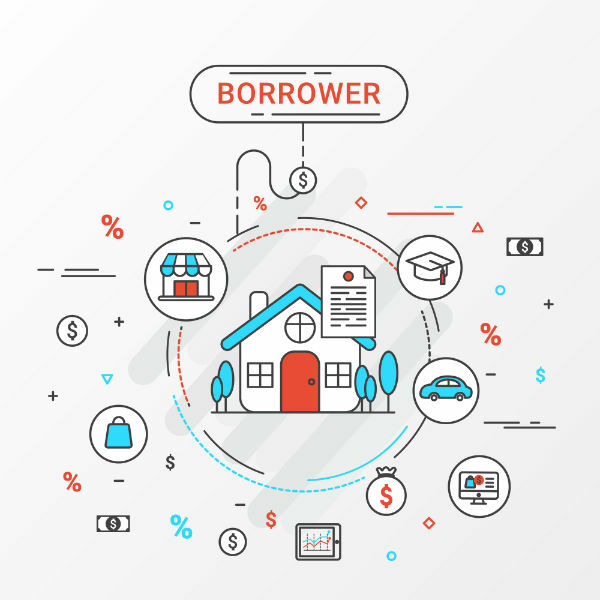 Always be careful with these because the longer the loan term is, the bigger the chances for you to pay a high rate, again depending on how the market fluctuates. It is a type of loan that you can use to withdraw funds when you need them. You pay the interest on the sum you use and not the total amount you borrow. This type of personal loan is used for emergencies. There is a limit that you can apply for, and the interest rate can be higher compared to other loans, but you pay interest on the money you use. So, in the end, it is a quick and handy way to get some cash for an unforeseen situation. If you want to learn more about personal loans, we recommend that you visit www.personalloanss.com.au and let the experts tell you what exactly suits your situation.